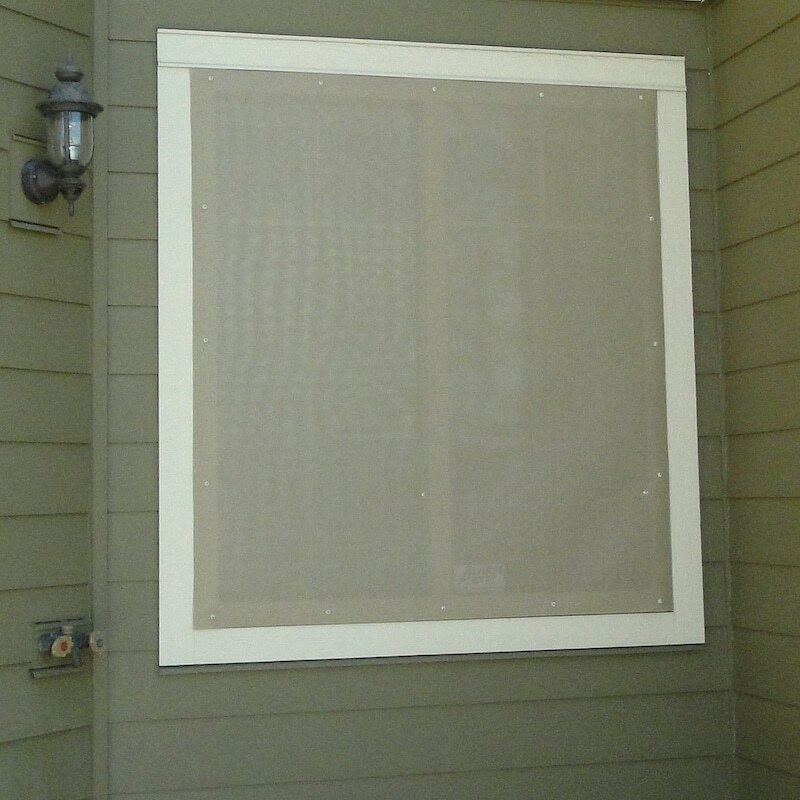 Sun Blocking Exterior Shade Screen for Windows & Skylights. 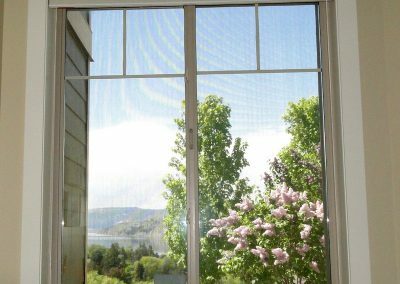 Block the heat, not the view by installing outdoor EZ Snap® solar blinds. 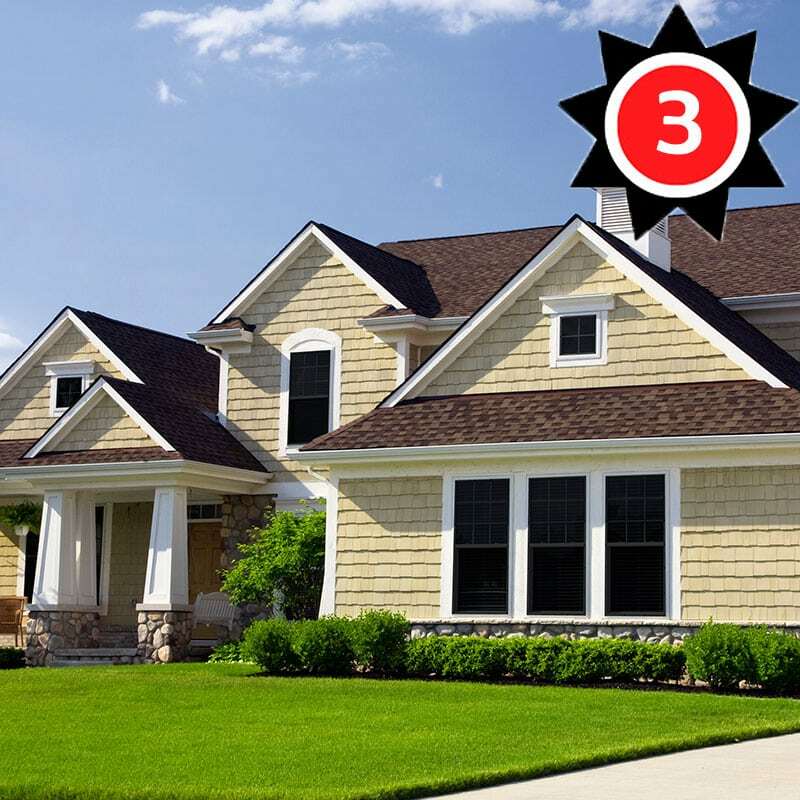 Easy do-it-yourself patented system that delivers professional looking results for your home or office. 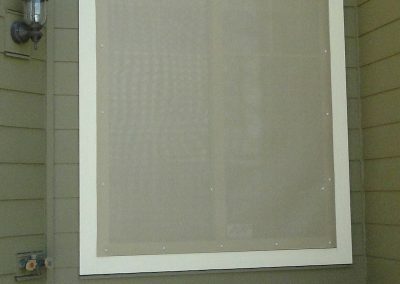 Window Shade Screens guaranteed to fit all shapes and sizes of windows and skylights. 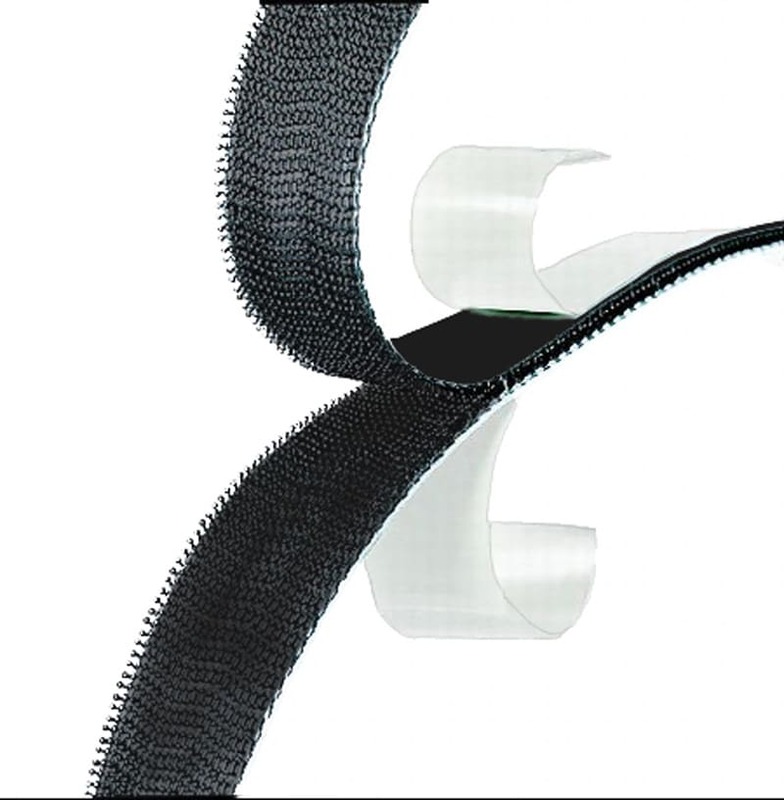 Our Breakthrough Innovation EZ Snap® Fastener system allows you to quickly & easily install Optical Grade exterior sun shades on vinyl (rigid PVC) and aluminium window frames without drilling or using screws. 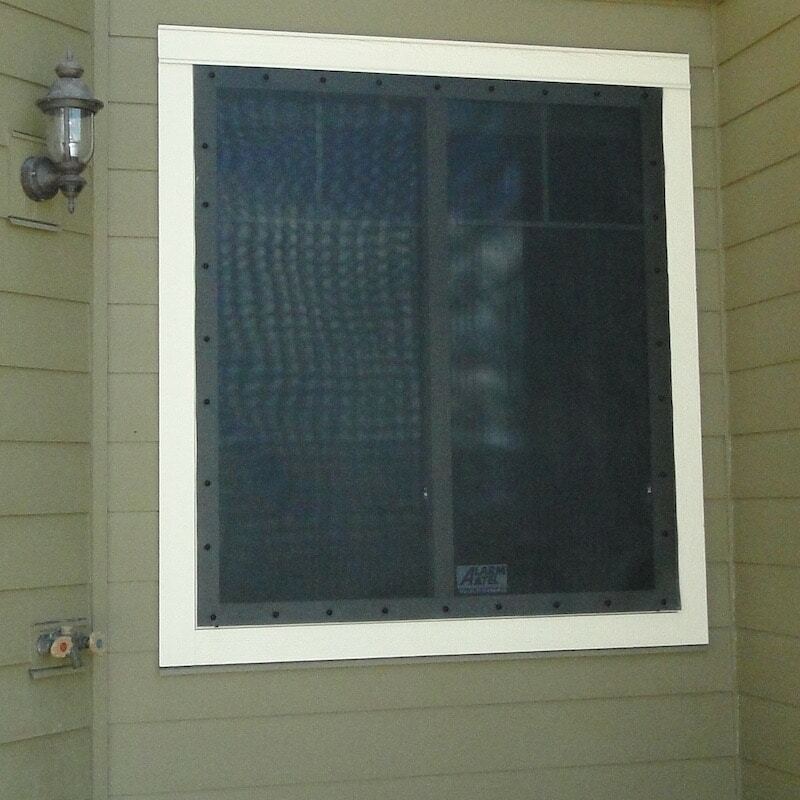 Installing outdoor window shades on wooden window frames, stucco, or brick? 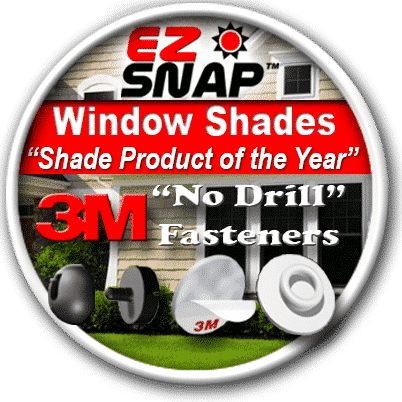 Our diy window shade kits including Shade Mesh, Stainless Steel Screw Snaps, and step-by-step instructions will have you cooled down faster than you can say EZ Snap®. Sun is beating into your living or working space, making you hot, sweaty, and uncomfortable. UV rays are damaging your wood floors, furniture, artwork, and other belongings day after day. Bright sunlight is reflecting off your TV or Computer screens, making them hard to see and causing eye strain. Spending a small fortune on air conditioning to keep cool. Sun reflecting off the outside of windows (especially Low-E) melting your vinyl siding. 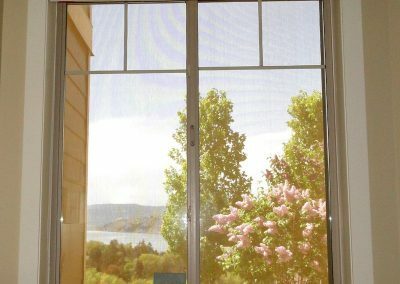 Views are blocked by traditional interior blinds, sun shades, or reflective material. Block the Heat, Not the View (up to 90% heat block). Save $$… EZ Snap® pays for itself through reduced air conditioning bills. 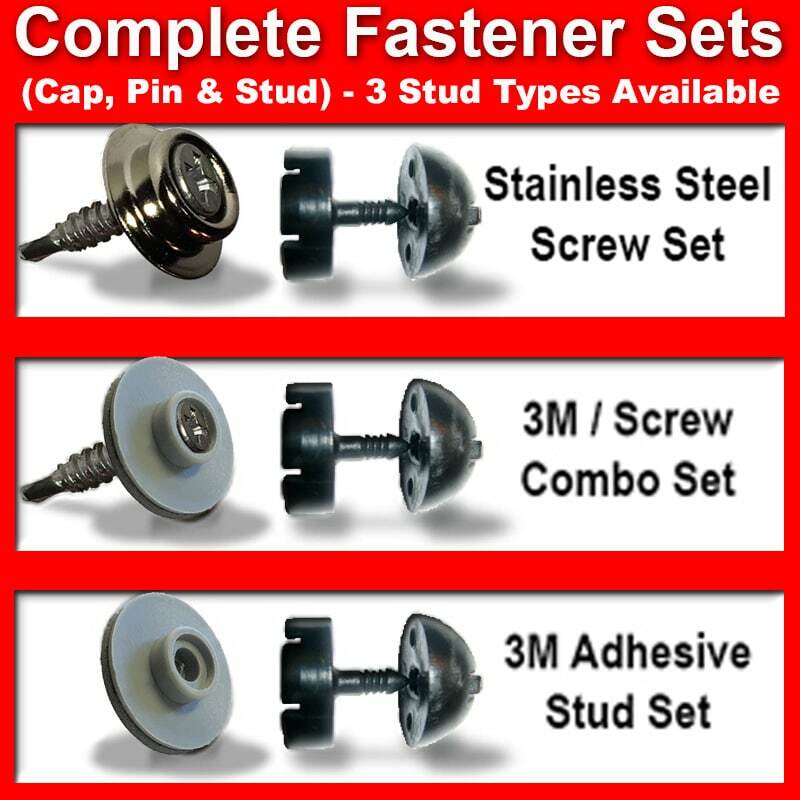 Quick & EZ Installation Kit. 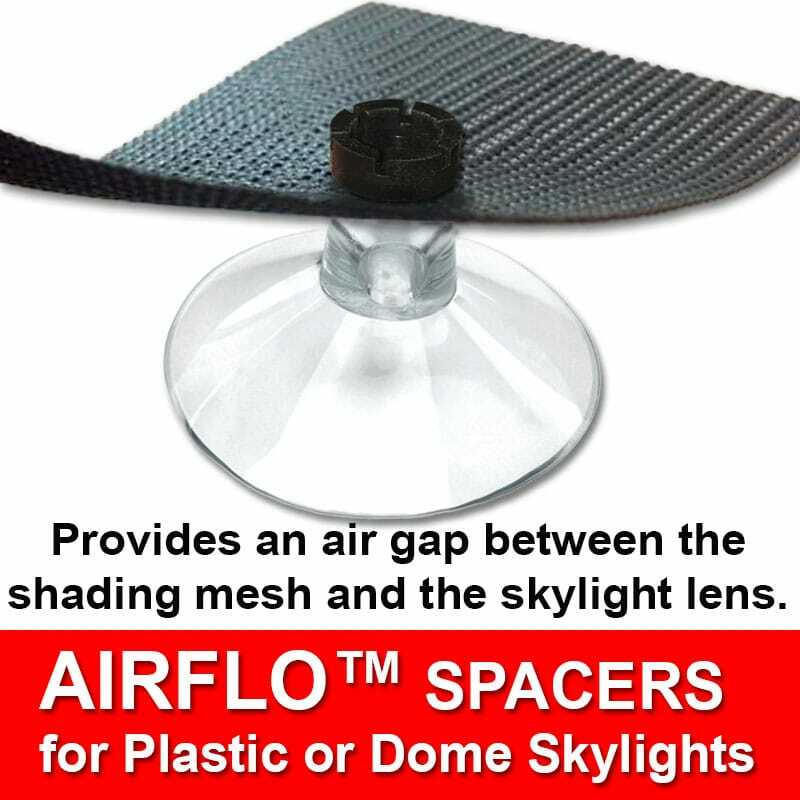 Patented System with Optical Grade Shade Screen. 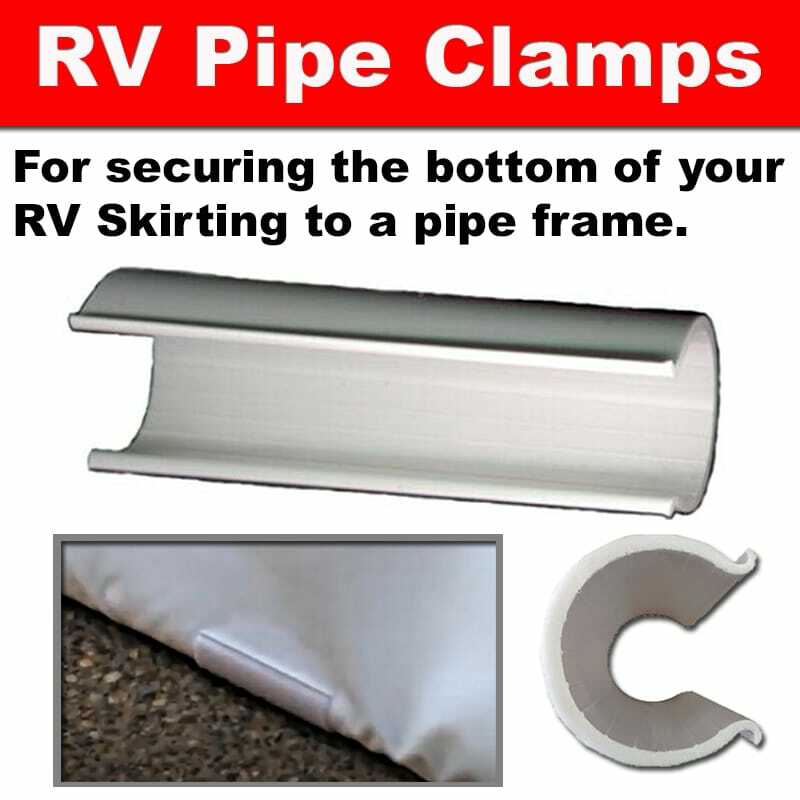 Fits Any Size or Shape Window (Cut to Size On-Site). FAST Door to Door Delivery by UPS… Free on orders over $225. 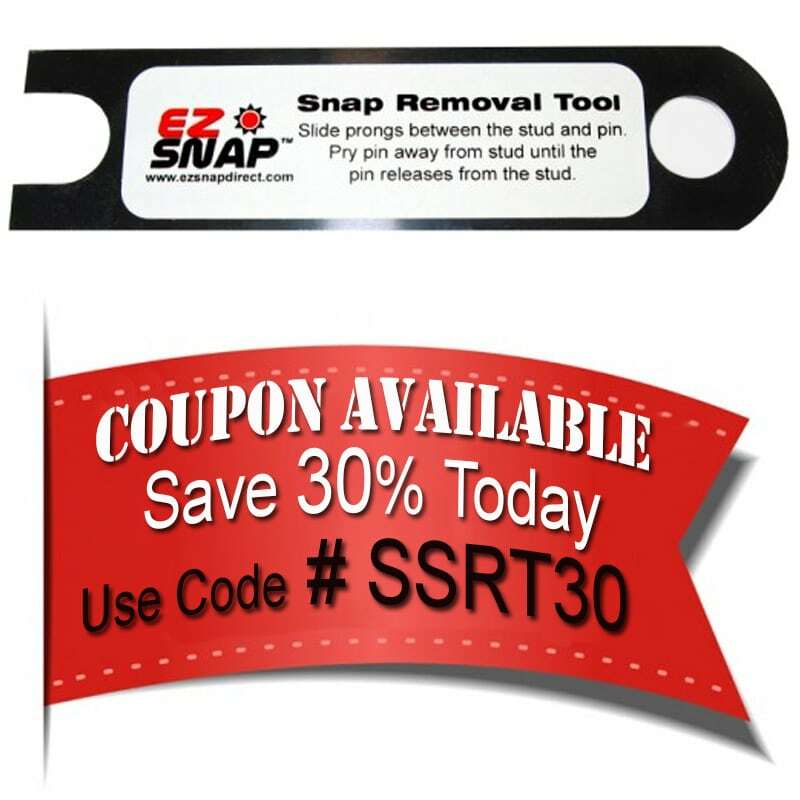 Becuase the EZ Snap mesh is a non-fray material you can cut it to size right on-site to do any size or shape of window. 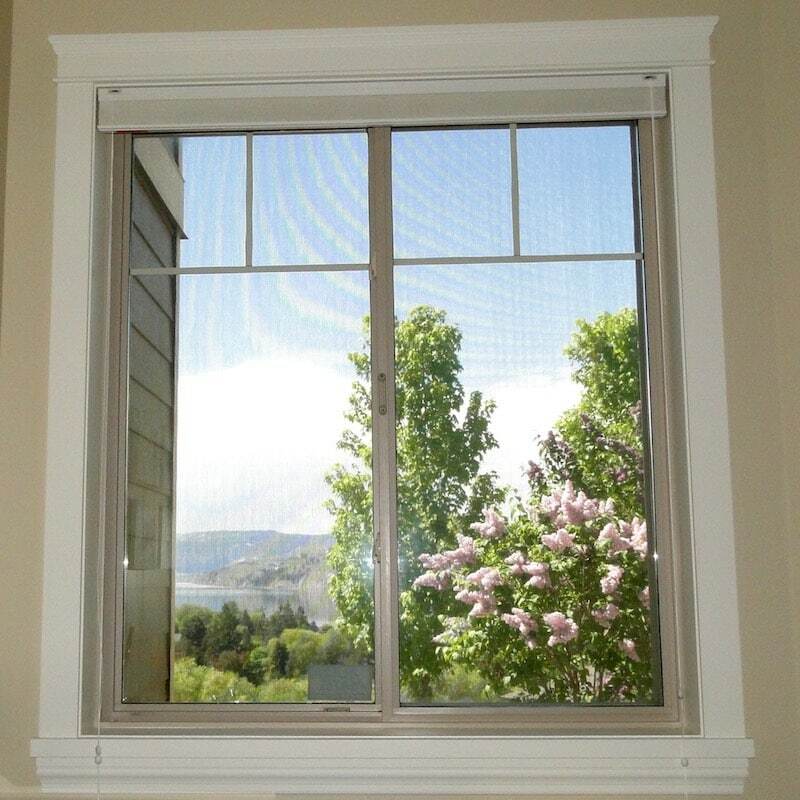 Perfect for curved or triangle shaped windows as well, where blinds are not available for those shapes. $ave the environment and money at the same time. Discover what thousands of EZ Snap customers already know… how effective and simple to install this proven sun blocking idea is. Don’t spend another summer in a hot and uncomfortable home. 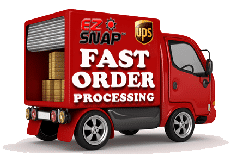 For more information, follow these links to watch the EZ Snap® Videos, see a variety of EZ Snap® projects in our Photo Gallery, or view and print our PDF EZ Snap® brochure. 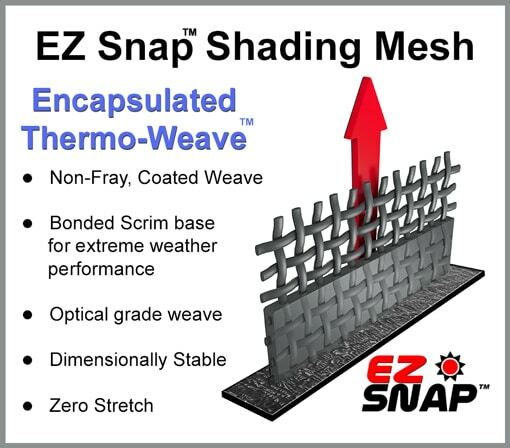 Watch this short video to see how EZ Snap® Shades Block the Heat, Not the View. 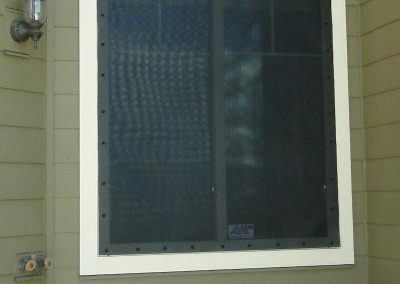 Shade Screen Video shows homes with exterior solar blinds on windows of all sizes, including arched windows, and do-it-yourself installation. 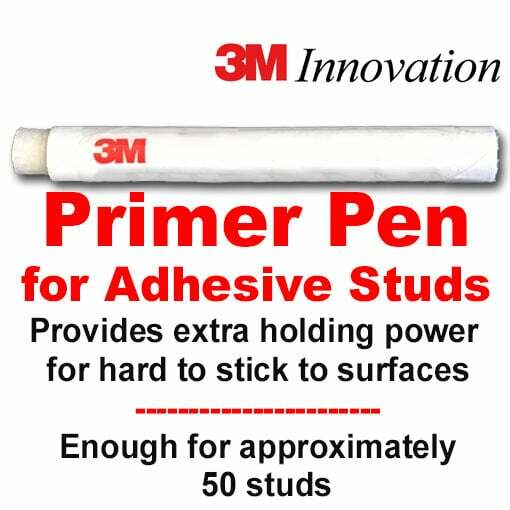 See close-up video of how the 3M Adhesive Snaps attach to window frames, how the Shade Material easily pops onto pins, and see the finished installation with Caps in place. 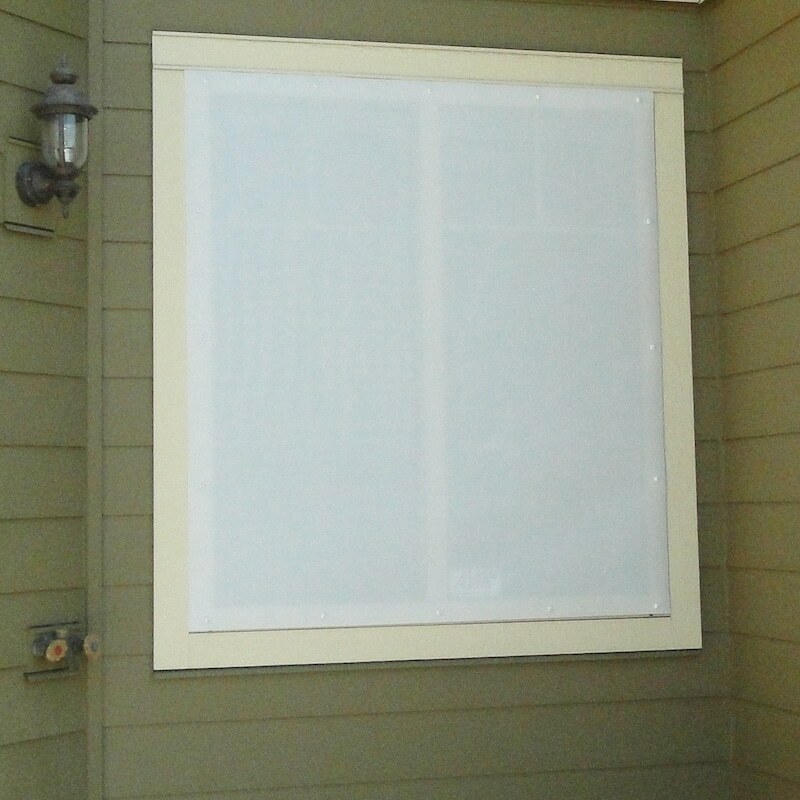 Decide the number of Window Shade Kits you need. 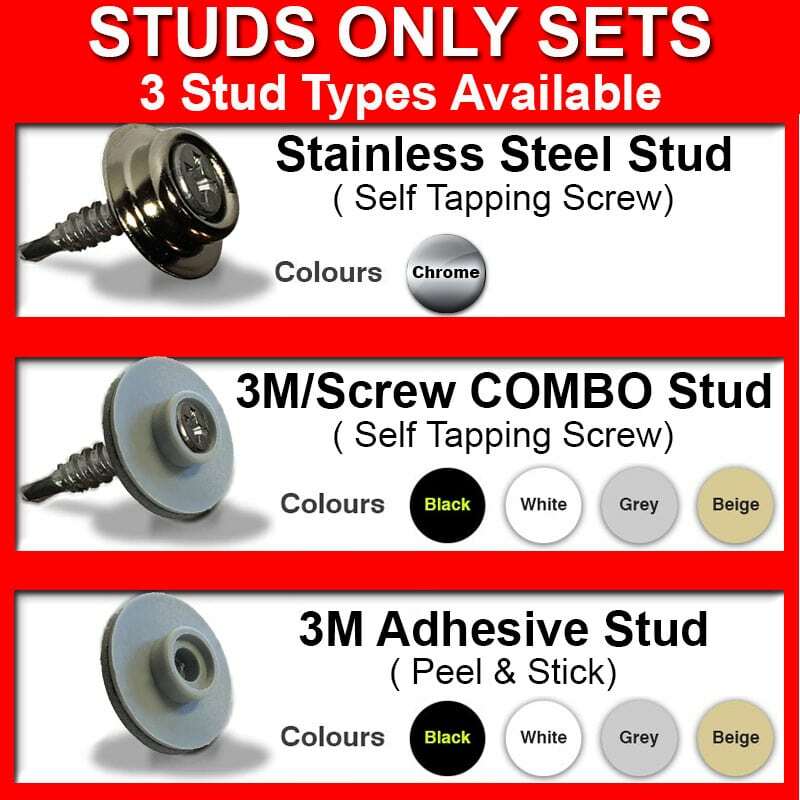 Place your order securely online or over the phone. 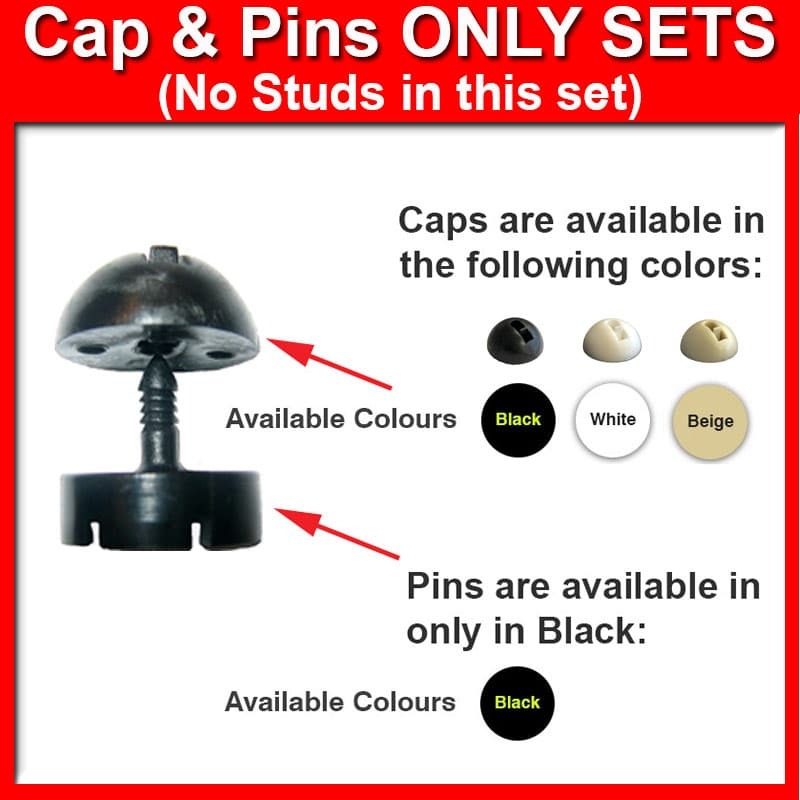 Follow the installation instructions in your kit (or on the “How to Install” page). Review the install tips brochure. Relax and enjoy your cooler, more comfortable home. 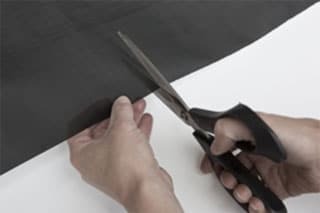 This unique shade cloth, developed by EZ Snap®, allows the “Do-it-Yourselfer” to create professional-looking finished shade screens without any need for expensive tools or high priced professional upholsterers. 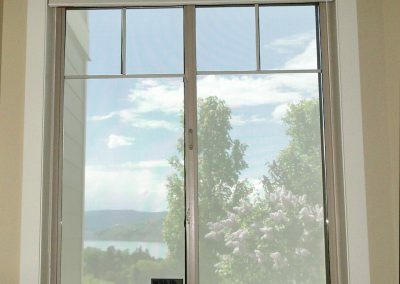 EZ Snap Shade Screens are installed on the outside or your windows, shading the glass and stopping up to 90% of the heat before it enters the home or office… far superior to window tinting or film. 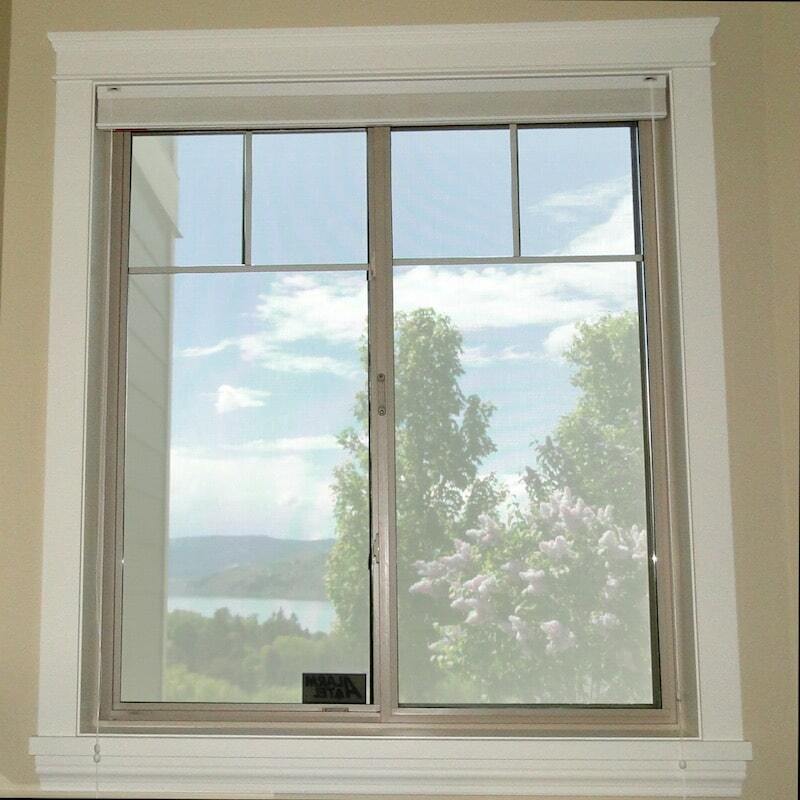 Home window tinting or window film are installed on the inside and reflect heat back into the windows weather seal. This can damage the seal, causing it to expand and contract every time there is a temperature change. For example, cloud cover to full sun then back to cloud cover. 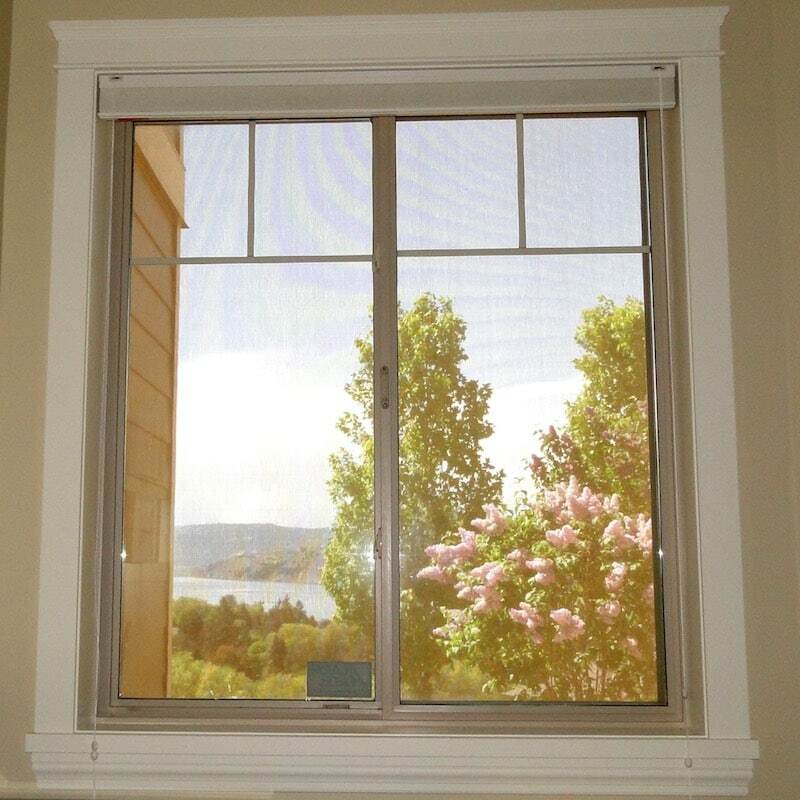 If a window film installer uses a film that reflects too much heat, it will super heat the weather seal of the window. If this continual superheating and cooling of the windows seal causes it to fail, moist inside air gets into the space between the glass causing condensation and loss of the windows insulation value or R Value. 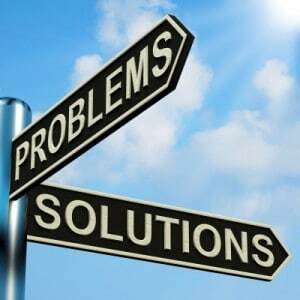 To stop the heat properly you need to do it before it hits the glass surface outside. 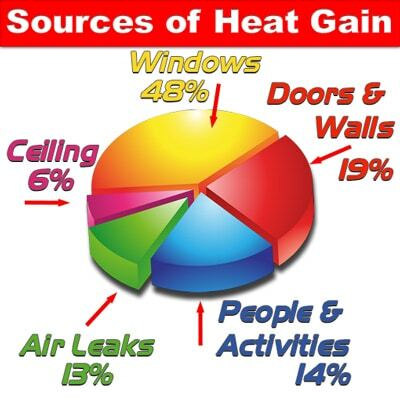 Remember: Windows are typically the source for up to 48% of the heat build up inside a home. EZ Snap exterior shades quickly pay for themselves through energy savings. 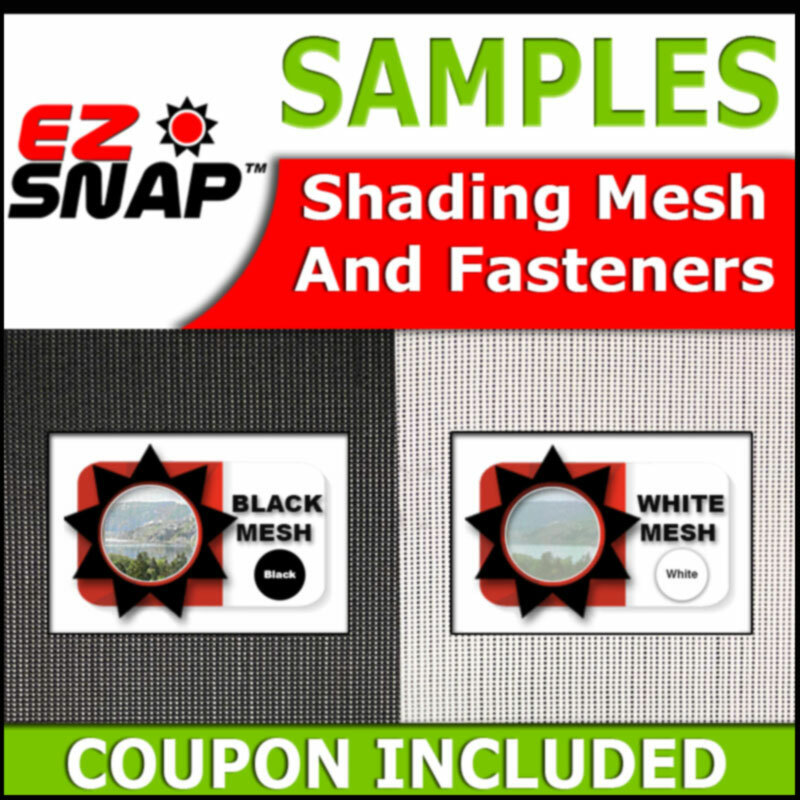 EZ Snap® shading mesh is an Optical Grade of exterior window shade cloth or shading screen. Most shade cloth mesh or solar screens will provide a significant shade factor, but many of them will distort your vision when you look through them because of their weave style. 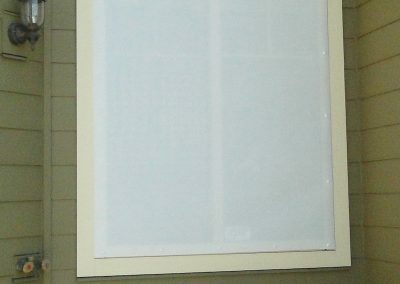 Our sun shade kits are available to fit all window shapes and sizes. 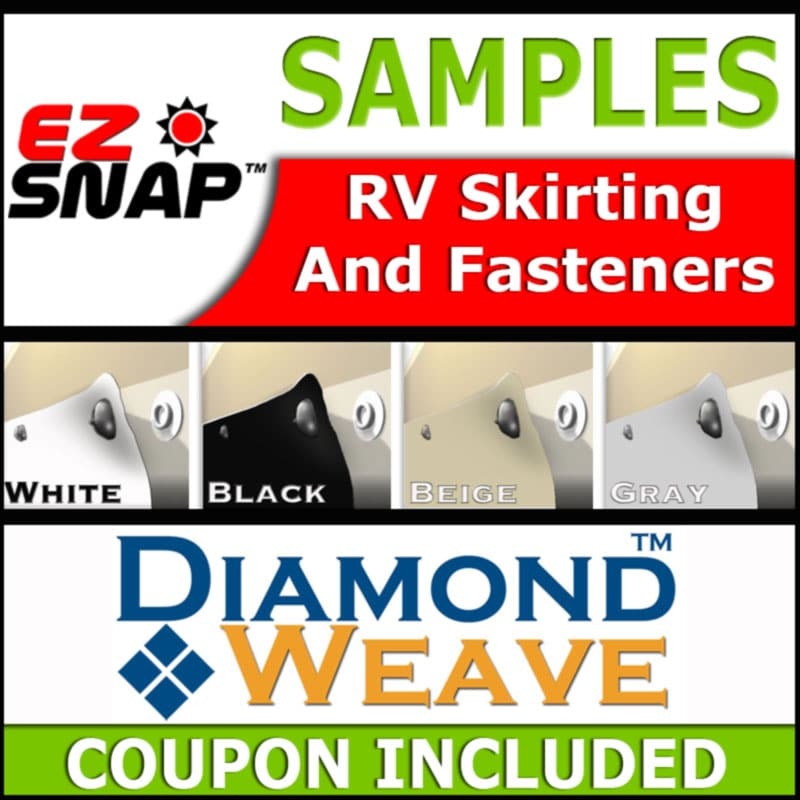 Do you have enough EZ Snap® fasteners for your window shade project? Every window shade project is unique and needs a different number of snaps. 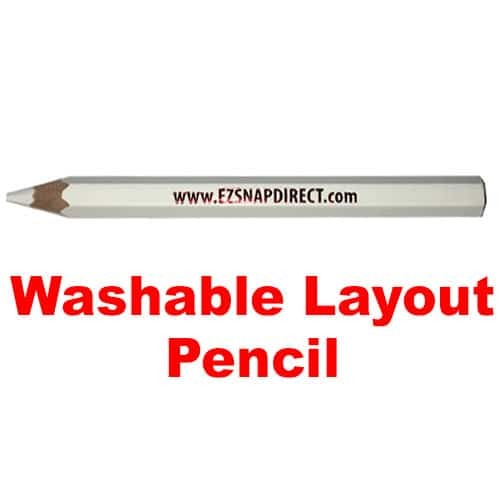 It is important to order extra snaps along with your kit, if you need them.